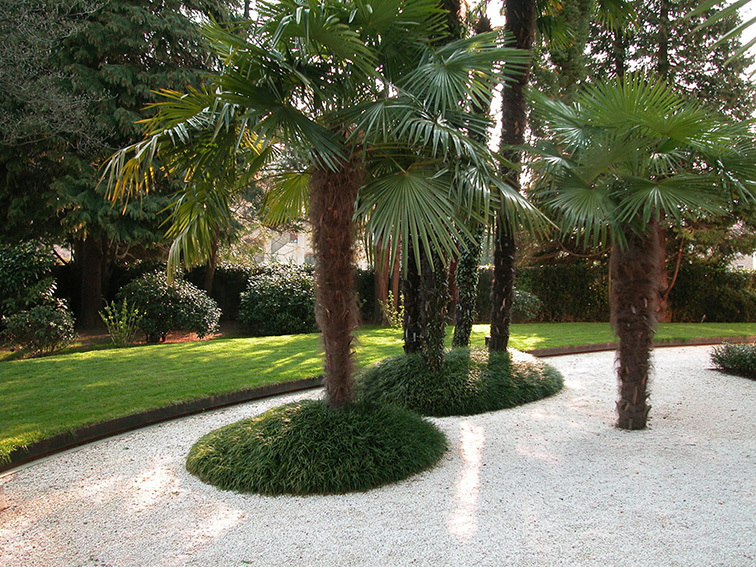 Situated at the shore of Lake Lugano, this garden belongs to an Italian-style villa built in the early 20th century. 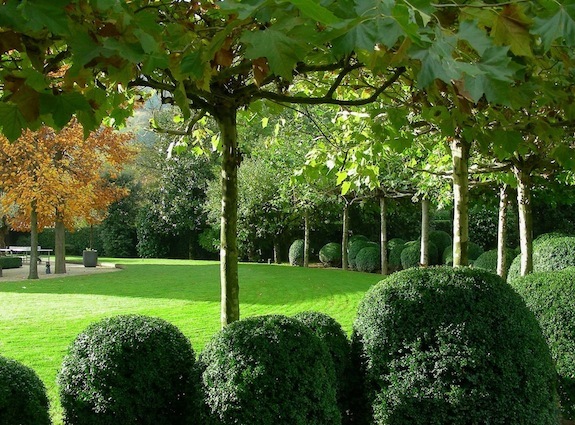 As part of the restoration of the house, the owners wanted their garden to get a new appearance. 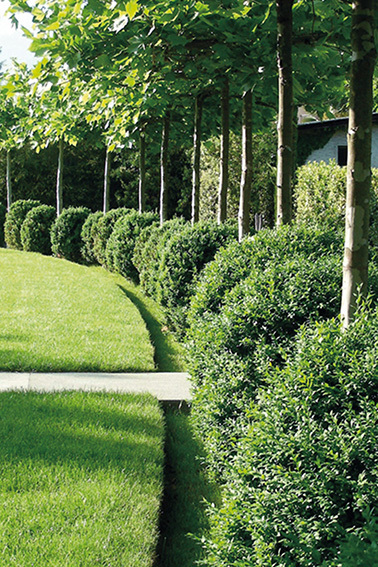 The chosen landscape design works with elements of mediterranean gardens and interacts with the symmetry of the architecture. 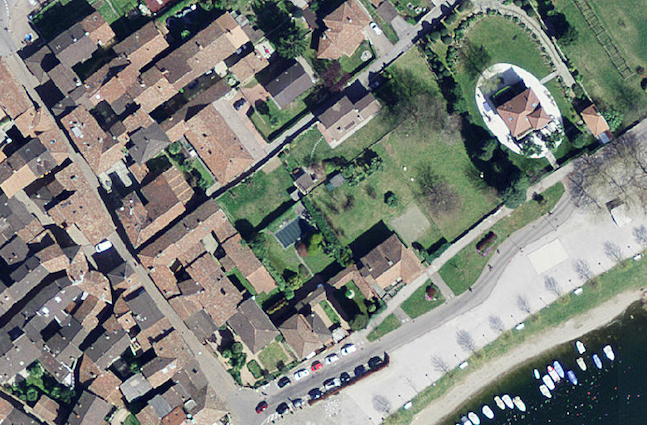 Two ovals, slightly rotated towards the garden entries and on different levels, surround the villa. The first is geared to the main entrance at the lake side and covered with gravel. It is intended t be an extension of the interior living rooms. Selective plants an furniture round off this exterior space. One step higher the second oval invites with a plane lawn to be used as a green lounge and playground. Its axes is turned from the main entrance towards the northern access. 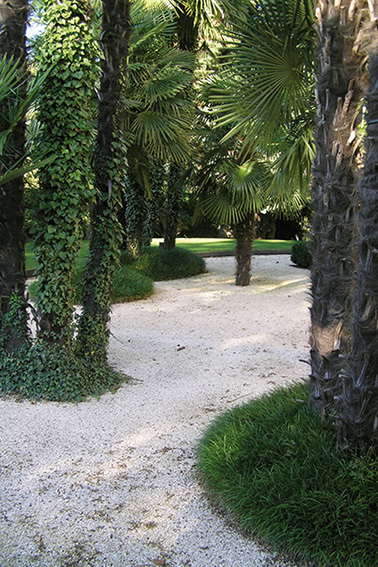 One step down however, begins a garden, which surrounds the entire ensemble with its space-creating mediterranean vegetation. In the northen side of the terrain is a car-port, which is conceived for multi-use purposes. 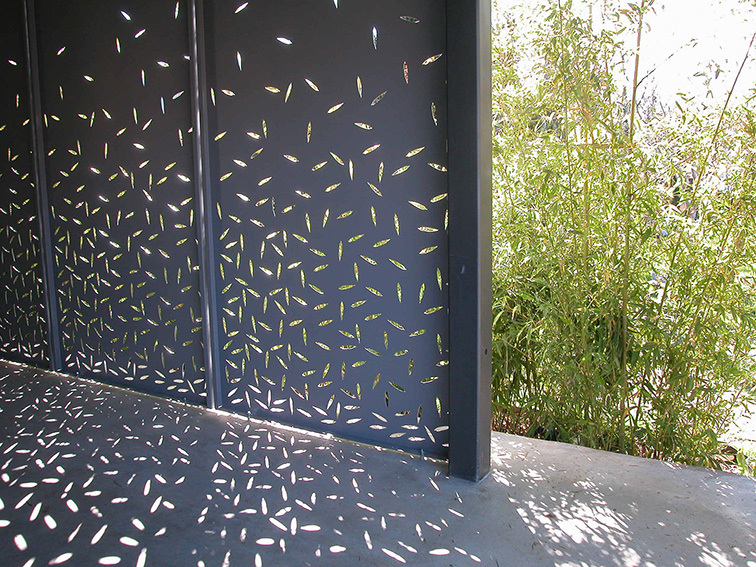 The design of the walls plays with its environment: the outside standing bamboo has been the inspiration for the pattern of the apertures in the port’s metal panels. The result is an ever-changing light-interaction between in – and outside – night and day.